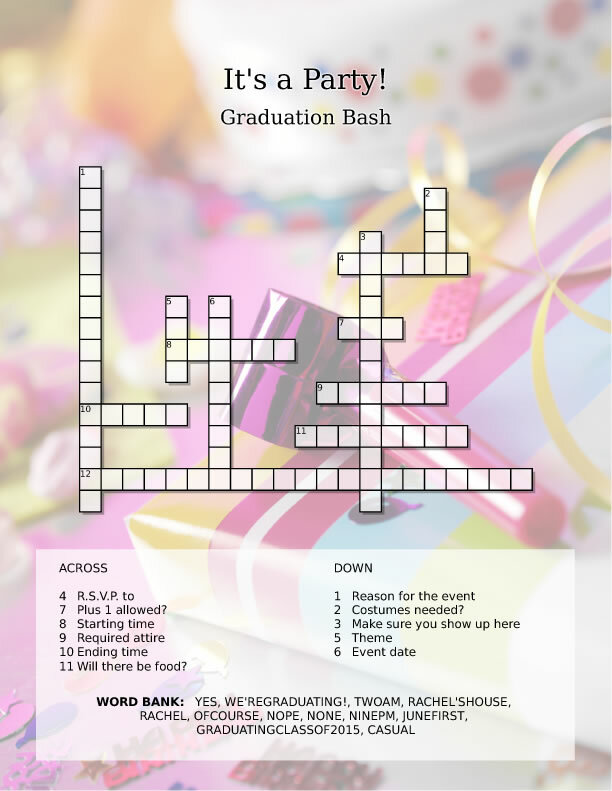 Fill your puzzle with event information, party guest's names, and so on. Fun to solve and they definitely won't forget this one! Make yours now.